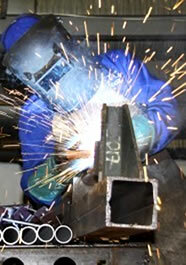 Lowell Iron & Steel Company has provided the highest quality custom steel fabrication and welding for over 150 years. Lowell Iron and Steel is a full service manufacturer for steel commercial, industrial, and residential buildings and facilities. We have an extensive warehouse which make our products available IMMEDIATELY! Quality Service and Work You Can Count On!